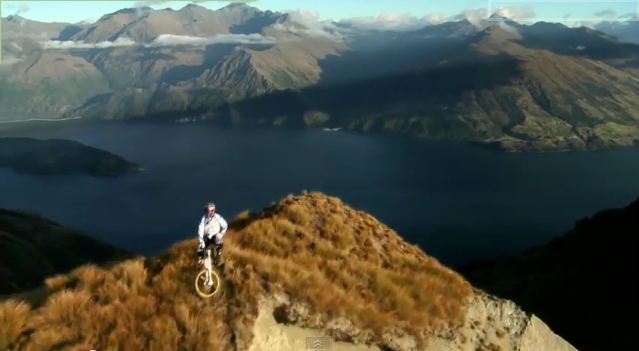 Check out this amazing footage of downhill mountain biker Brook MacDonald, as he scales down a new trail on Mt Burke (N. Zealand). The trail is located in the Wanaka Lake District of southern New Zealand, one of the most visually appealing landscapes in the world. An amazing video sponsored by Red Bull. It has been viewed 1,341.511 times so far and 7,046 people like it. Do you know how many cameras have been used for this recording? Think about it, dear student, please.